Thought you had Scottish pop-punks Woes figured out? They beg to differ, expanding their horizons with this bold, endearingly scrappy new EP. 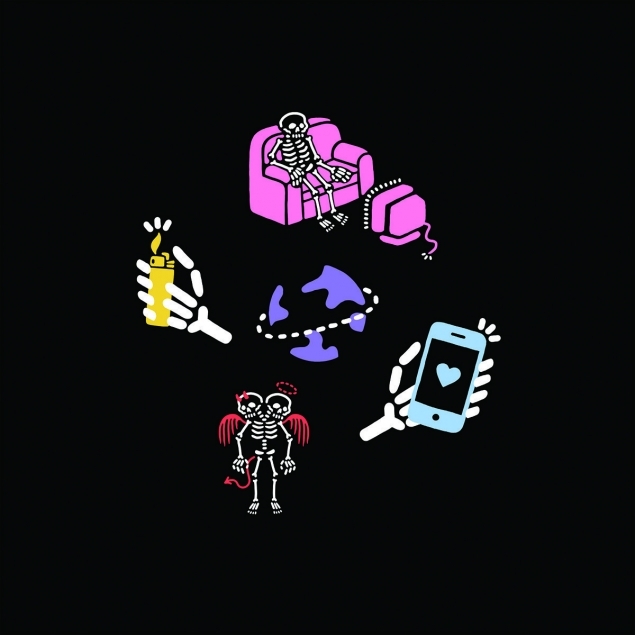 Whether delivering a new own spin on the concepts of Drake’s ‘Hotline Bling’ (dubbed, er, ‘HLB2’) or venturing into more bittersweet territory (‘Losing Time’), the four-piece have taken another step towards putting their own stamp on an overcrowded scene. Sure, they’re not fully tearing up the rulebook just yet, but fans of their tourmates in Neck Deep and Seaway should find much to enjoy in ‘Real World’ and the heartfelt ‘Over It’. Here’s to whatever their next chapter holds.